Perkins Medical Supply Rollators are perfect for long trips, giving you the freedom to stop and rest at your convenience. With some rollators featuring built in seats for your travel comfort and baskets for your storage needs, you’ll never have to stay home again. These 3 and 4 wheeled rollators come with adjustable handles and can be folded for your storage needs. Whether it’s an indoor or outdoor rollator, Perkins has what you need. Shop online or call us. 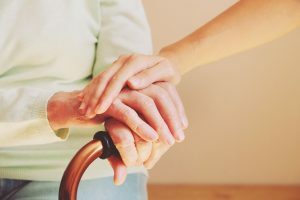 At Perkins Medical Supply, we believe in FREEDOM THROUGH MOBILITY! Perkins Medical Supply offers Walkers for those who need additional support to maintain balance and stability while walking. 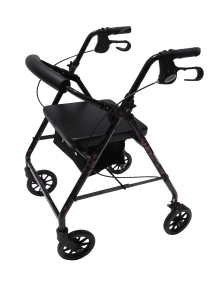 Our featured walkers are convenient and lightweight, making it easy to lift and maneuver. A paddle release mechanism makes folding easy and quick. Whether you want a walker with front wheels or no wheels, Perkins has the walker for you. Shop online or call us. At Perkins Medical Supply, we believe in FREEDOM THROUGH MOBILITY! Perkins Medical Supply carries a variety of canes and crutches for your mobility needs. Stop by our store today and view our full line of products that will aid in your FREEDOM THROUGH MOBILITY!